On Tuesday 7 July 2015, the Frontline Club hosted a discussion on the problem of protecting journalistic sources in the age of digital surveillance. Hosting the panel of experts was journalist and president of the Foreign Press Association Paola Totaro. The discussion touched upon issues of the law, journalist’s ethics, state transgression and best practices in protecting your sources. The panel included journalists Julie Posetti, Jonathan Calvert and Paul Myers, as well as Gavin Millar QC, a specialist in media law. The problem, Posetti said, is clandestine surveillance undercutting the legal protections of sources. “It’s all very well to say I can stand up in court and protect my source, but if my source has been exposed in a clandestine manner it becomes quite problematic,” she said. 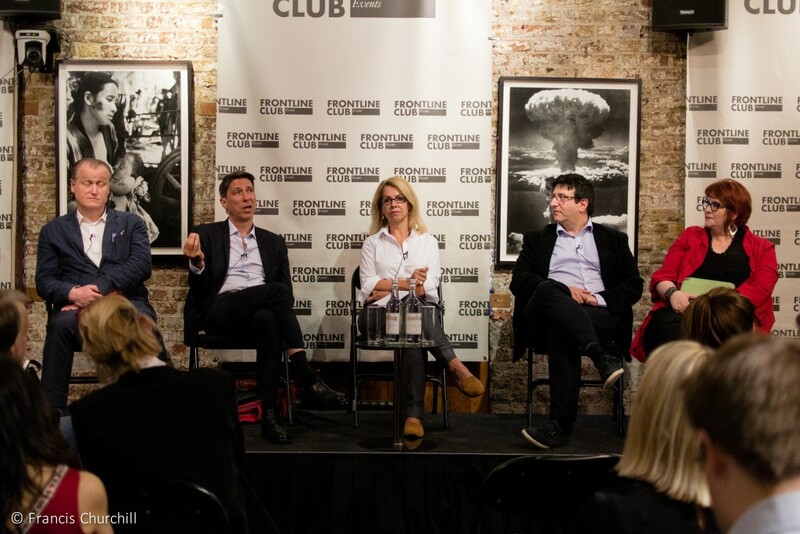 Legal frameworks protecting journalists are being increasingly strained. “They are increasingly at risk or erosion, restriction and compromise… [representing] a direct challenge to the established universal rights, human rights, to freedom and privacy,” said Posetti. 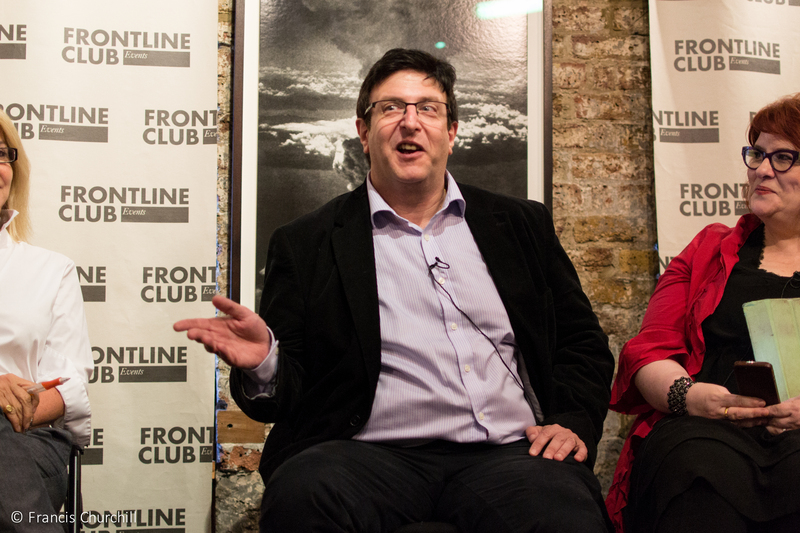 Millar told the Frontline Club that most of the legal protection for journalists against digital surveillance actually originated from the European Union. He echoed Posetti’s concerns of state agencies subverting the law. 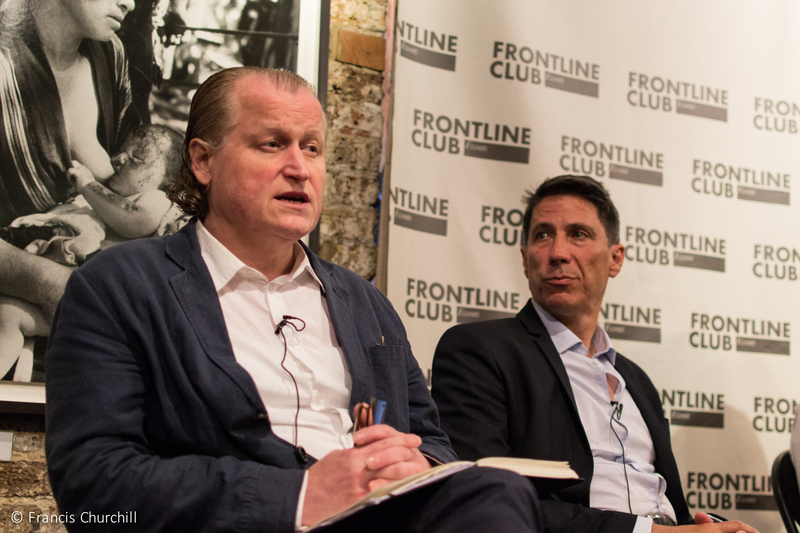 “There was an understanding, misplaced, that [state surveillance] didn’t go on where the purpose of exercising the power was to identify journalistic sources… That’s all gone down the pan in recent years unfortunately,” said Millar. “The law enforcement agencies had got into the habit of the self help remedies that are available under RIPA and [authorise surveillance powers] without a judge being involved,” said Millar, who cited the Chris Huhne and the so called plebgate cases. “There’s a strange correlation between political embarrassment and abuse of state powers when it comes to journalistic sources,” said Millar. This abuse of surveillance powers, said Millar, is so ingrained in the working culture of law enforcement and intelligence agencies that the legal reforms proposed by Posetti and her UNESCO report would be ineffective if policing culture did not change with it. What can be done by journalists to protect their sources in the meantime? First and foremost, said Calvert, is to always be aware that you can’t always protect your sources. 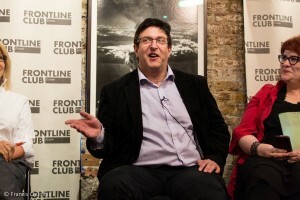 Currently the editor for The Sunday Time’s Insight Team, Calvert is an investigate journalist who has been working in the industry for decades. “I’ve sort of always have been aware that private detectives, government agencies can get access to my material,” he told the Frontline Club. There are online tools that can be used as well, said Myers, an internet research specialist at the BBC. Security can be cumbersome so first and foremost you need to know how at risk you are from surveillance and act accordingly. It is also important to understand how your computer can leave a trail. “You could visit [a] website and leave a footprint from the BBC’s IP address, or you could set up a Hotmail account not realising that Hotmail betrays the fact that you used a BBC computer,” said Myers. As for encryption; “You’re dammed if you do and dammed if you don’t,” said Myers; using too much encryption can cause suspicion. “It’s like kind of walking into a bank wearing sunglasses, a fedora and a fake beard; they don’t know who you are but they know you’re up to no good,” he said. It’s important to remember, however, that despite the risks digital journalism has also made investigative journalism easier in other respects. “The Swiss leaks, offshore leaks, Luxemburg leaks, a whole range of leaks that have been in part, you know, depended on this age of reporting that rely on digital interaction with sources,” said Posetti.